Film: Being the ideas man at some studios must be the easiest job in the world because basically, you don’t need any. It seems to me what you do is look at everything happening in pop culture, and find a way to cash in on it. This isn’t a new thing: Hollywood has basically been bereft of new ideas for decades and in general it’s up to independent companies to shake things up. Everything lingering in pop culture is a target: books, comics, toys, video games… ah yes, the video game movie. Such ‘hits’ as Bloodrayne, Tomb Raider and Super Mario Bros are great examples of what not to do, as is this amazing piece of crap, House of the Dead, directed by professional nerd-beater and directorial hack-a-roni, Uwe Boll. (Caveat: Resident Evil is pretty good, so I’m not aiming my total disdain at every video game movie). House of the Dead is barely based on the video game, but instead shows stuff that happens in the game and changes the environment to suit a pretty ordinary story, which presents itself as a prequel to the game. A bunch of forgettable youngsters (played by people in their 30s, by the looks of it: it’s like Beverly Hills 90210 all over again) travel to an island where a rave is taking place, only to find they are late to the party, and the other partygoers have been turned into zombies! House of the Dead: Jürgen Prochnow and Clint Howard check their bank books. 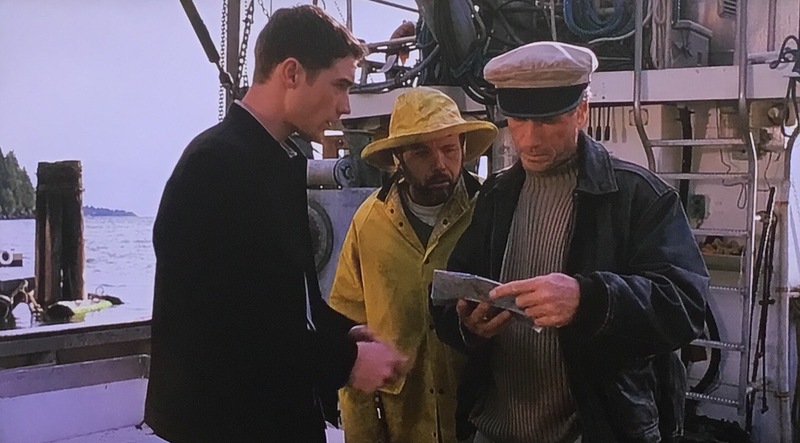 They hitch a ride to the island with a cranky old sea captain (Jürgen Prochnow) and his first mate (Clint Howard) who are being persued by the law for smuggling, and have to try and survive the zombie outbreak and maybe unravel the secrets of the house of the dead. Now it may seem like I’m a Boll basher but I’m not. There have been a couple of his films of his that I actually enjoy, but this is just terrible. The idea of using footage from the video game as segues is a bad one as it serves as a constant reminder that this is not an original piece of work, and the use of some of the Matrix bullet cam is bizarre and really used only because they could and not as an aspect of the film, like Zack Snyder and his excessive use of slow motion which serves no purpose other than to sell an effect or lengthen his films by 20 minutes. 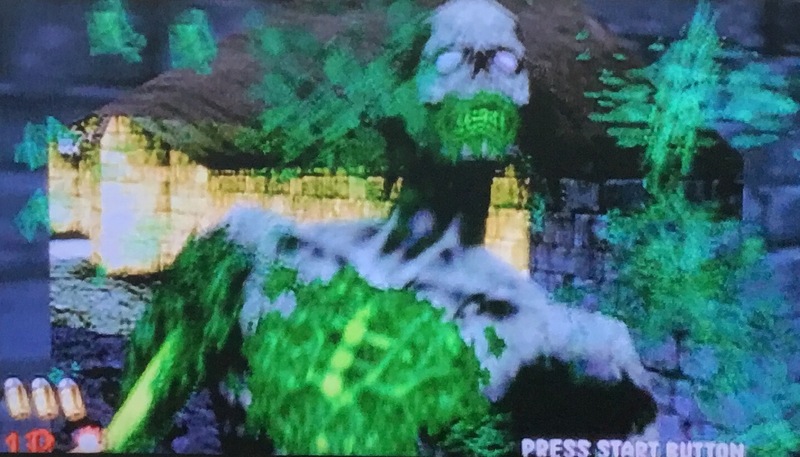 House of the Dead: in game footage used in the movie for ‘effect’. Above all this though the story is quite generic, and the acting not much better than what you’d expect in a zombie film of this level of quality, though the setting is quite ridiculous and I’d like to say that Prochnow and Howard offer some class to the film in their special guest star statuses but, well, they just don’t. I will however give this film a star as the zombie make-up and an boobies do make it somewhat interesting, but if these are things you need in a film, there are still far better options. Format: This review was done with the Australian Eagle Entertainment region 4 DVD edition which is presented in 1.85:1 video with a Dolby Digital 5.1 audio, both of which are ok, except you can clearly see and hear this terrible film. It was an ex-rental and probably not worth the ‘ten for ten dollars’ price tag at a shutting down Civic Video. 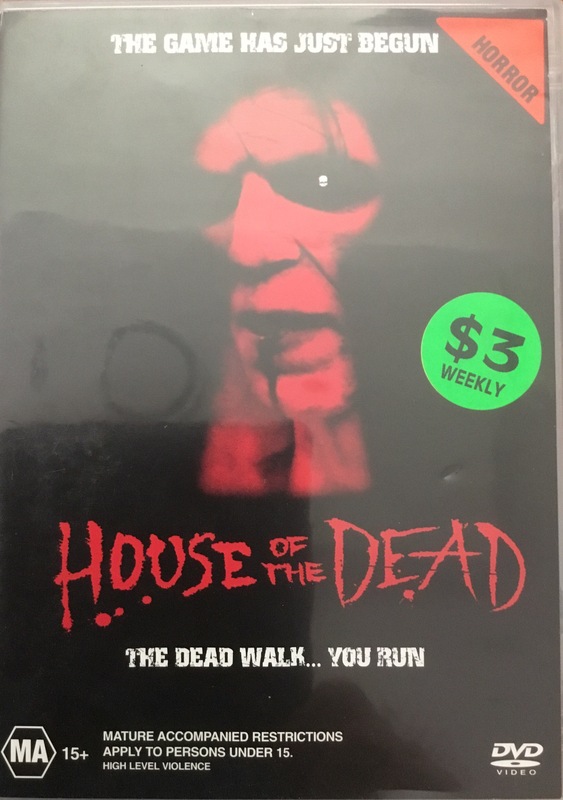 Extras: There’s really only two extras relevant to the House of the Dead on this disc. 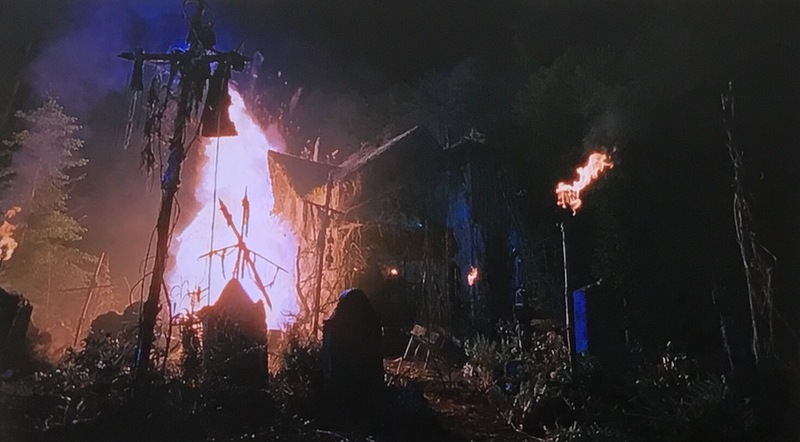 The first is a thing called ‘Behind the House’ which is thirty minutes of behind the scenes stuff with NO explanation, or commentary and the second is a good ol’ theatrical trailer. There are three other trailers on this disc: Tough Luck, Prozac Nation and Absolon. WISIA: To call this film dire is an underestimation, to call it diarrhoea is far more accurate. Avoid like a stomach infection. Seriously, it’s one of the few films I’ve ever seen that caused my bluray player to gag. 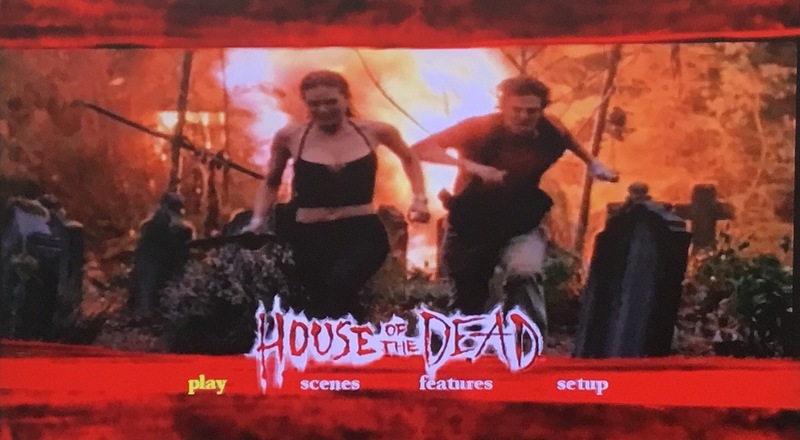 House of the Dead: a house exploding cannot stand.